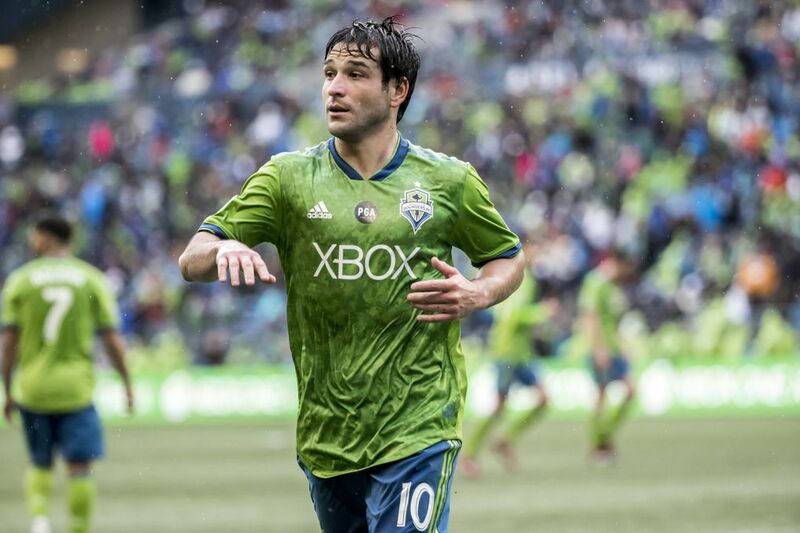 The Sounders won 14 of their final 16 matches, completing a comeback from the depths of the MLS standings to the No. 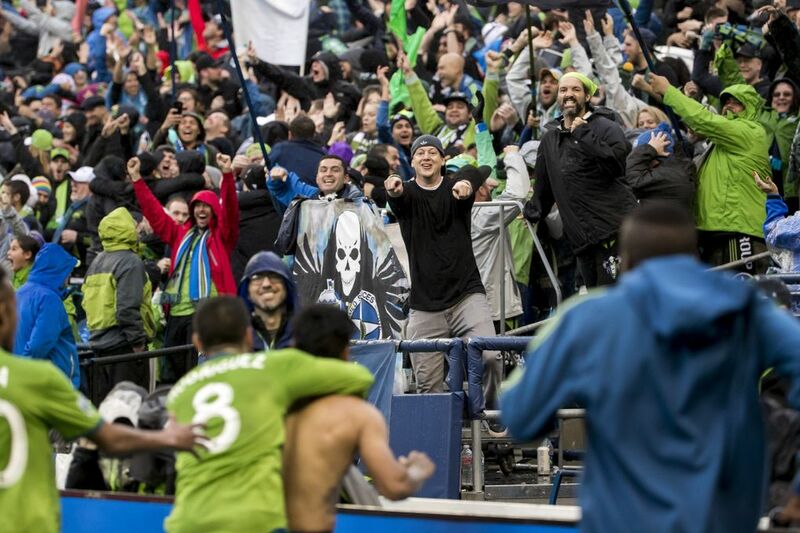 2 seed in the Western Conference, earning a bye and a 2-1 win over the San Jose Earthquakes. 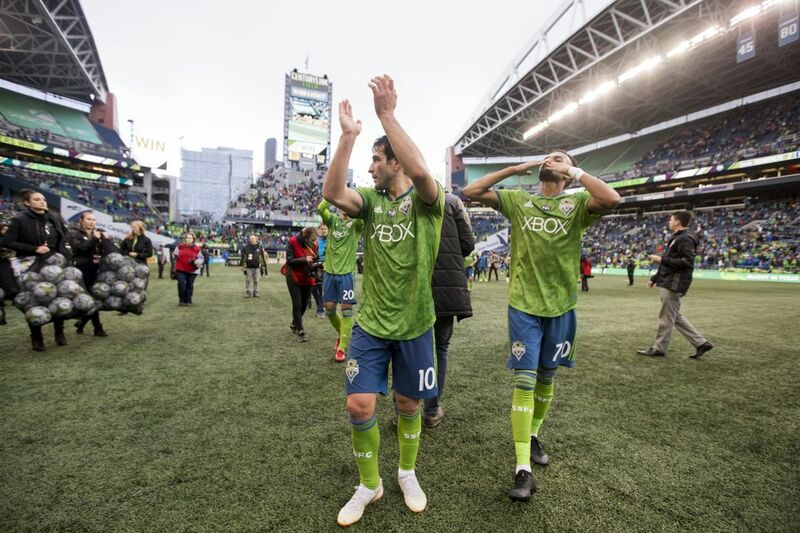 A choked-up Sounders coach Brian Schmetzer fought back tears as he struggled to describe his team’s improbable journey out of the abyss. 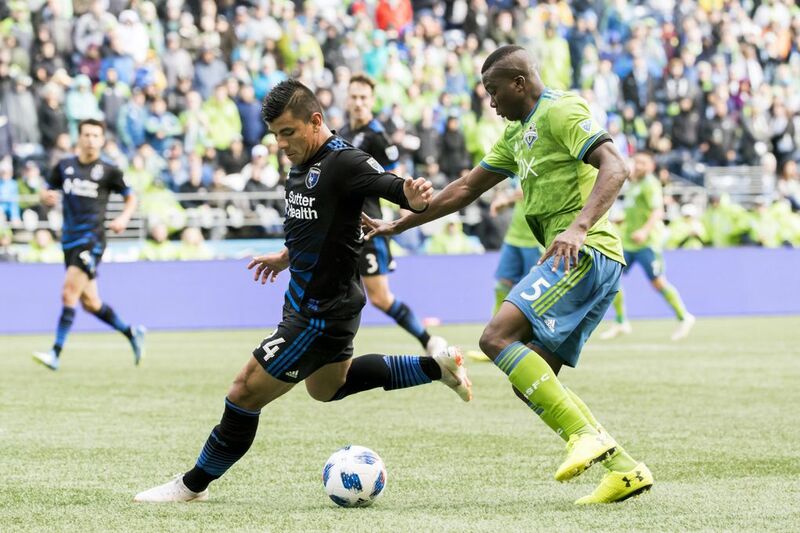 Not just during Sunday’s frenetic 2-1 comeback victory over the determined San Jose Earthquakes, but over four months of the greatest second-half comeback Major League Soccer has ever seen. A team that in June seemed destined to miss the playoffs for the first time in its history now has a first-round bye after 14 wins over their final 16 matches and an extraordinary confluence of events the season’s final day. 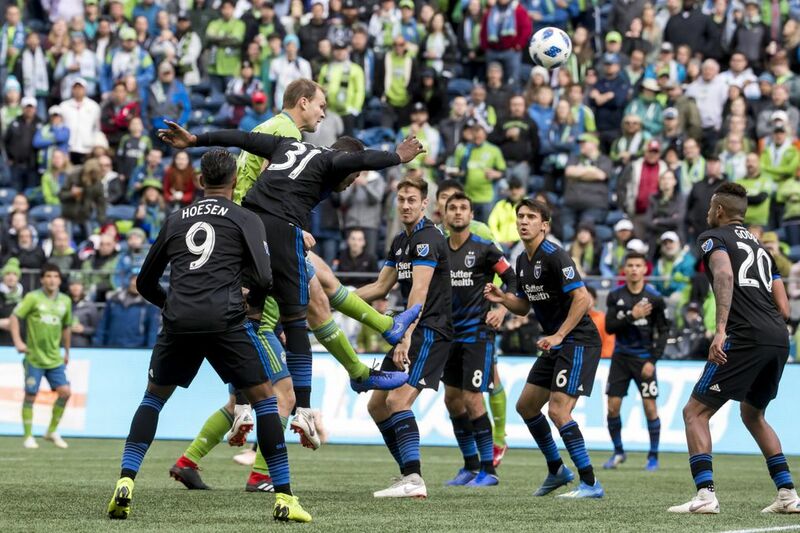 What was happening, in front of 42,617 scoreboard-watching fans at CenturyLink Field, was the Sounders were down 1-0 on a Chad Marshall own goal in the 64th minute as the teams they needed to lose were winning or tied. 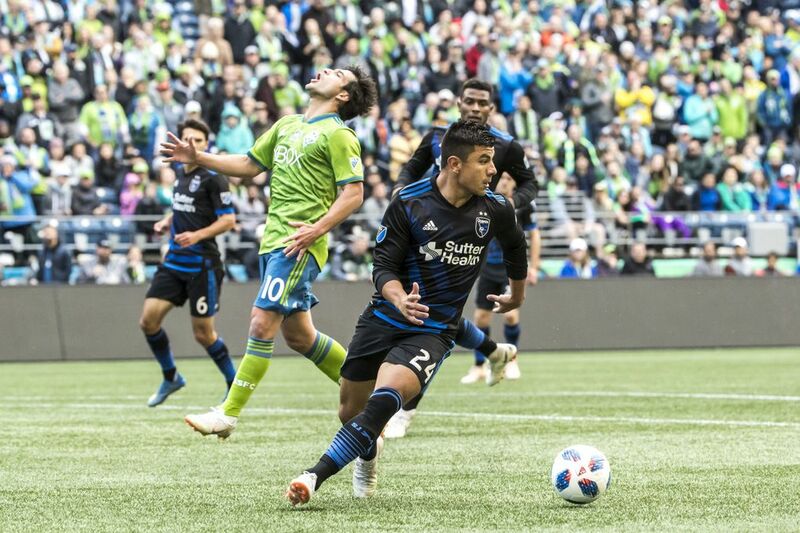 Even the hated Portland Timbers, who started a “B” squad in their finale, were hanging close to Vancouver late to keep alive the prospect of the Sounders tumbling to fifth place and playing a midweek knockout round match on the road. 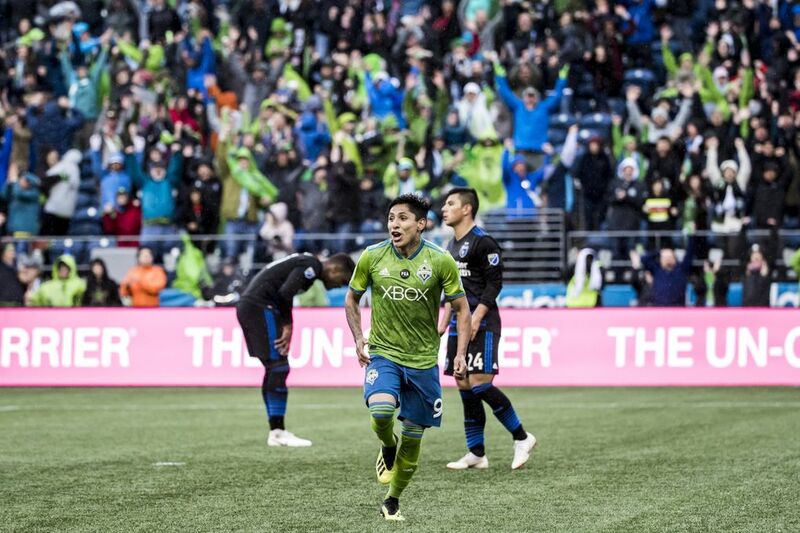 But then, Peruvian forward Raul Ruidiaz took over — as he has so often since his July signing — and a team left for dead rose from the ashes once more. 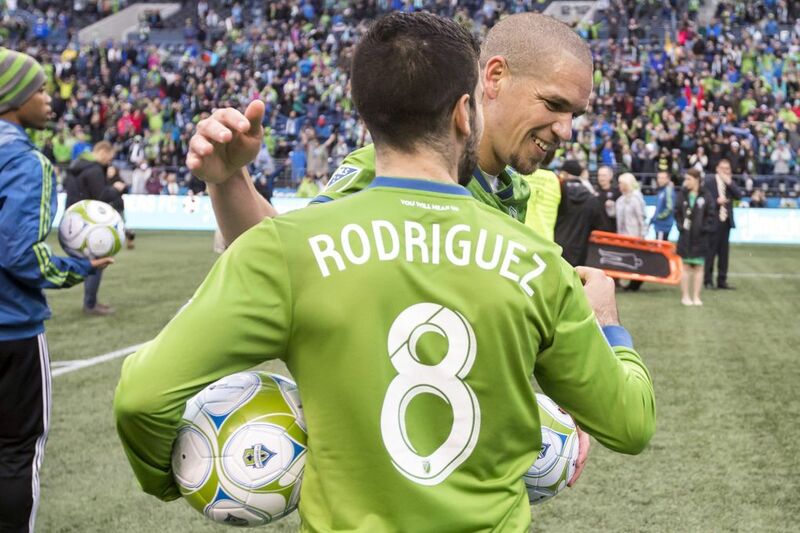 Ruidiaz redirected a Cristian Roldan cross into the net for a 79th-minute equalizer, then finished off a three-way passing gem with teammates Nicolas Lodeiro and Victor Rodriguez in the dying seconds of stoppage time to complete this unlikeliest of regular-season endings. 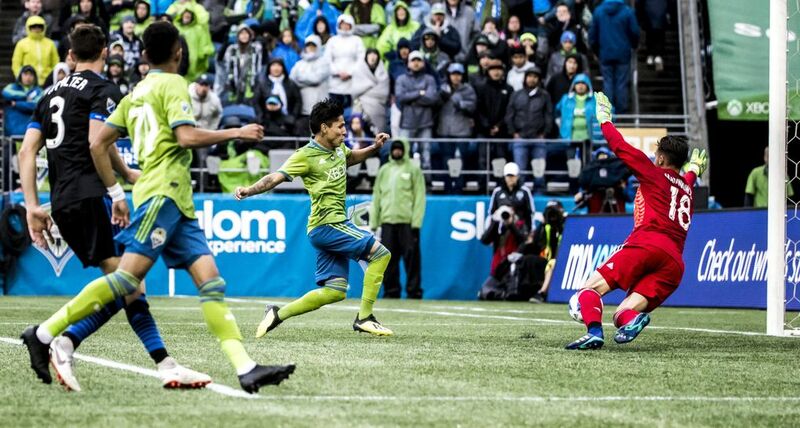 Moments before that goal, the Sounders learned that FC Dallas had been scored on twice by Colorado in the final 10 minutes of their game to fall behind 2-1. 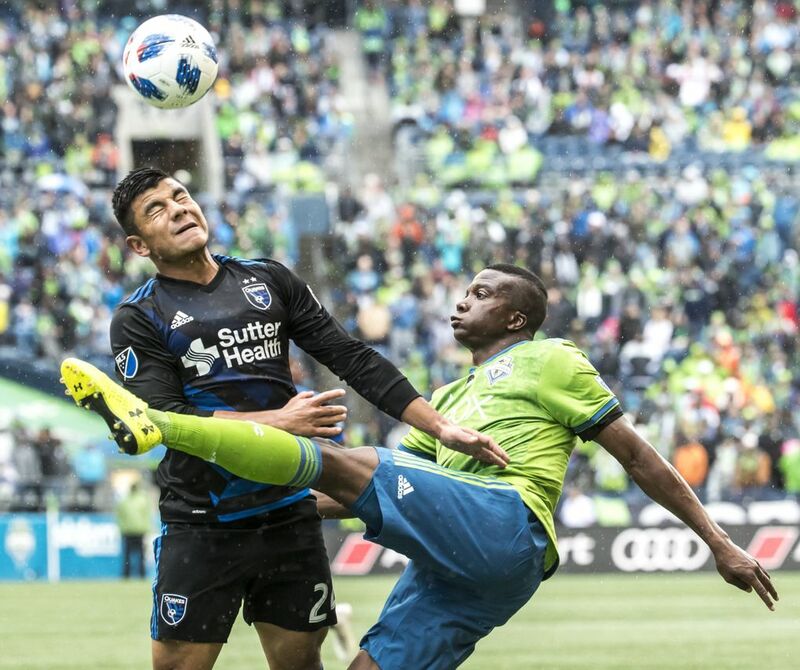 Knowing they needed only a win and a Dallas tie or loss to clinch second place and the first-round bye, the Sounders realized Ruidiaz’s second goal had just sealed the best playoff seeding hoped for when so-called “Decision Day’’ began. 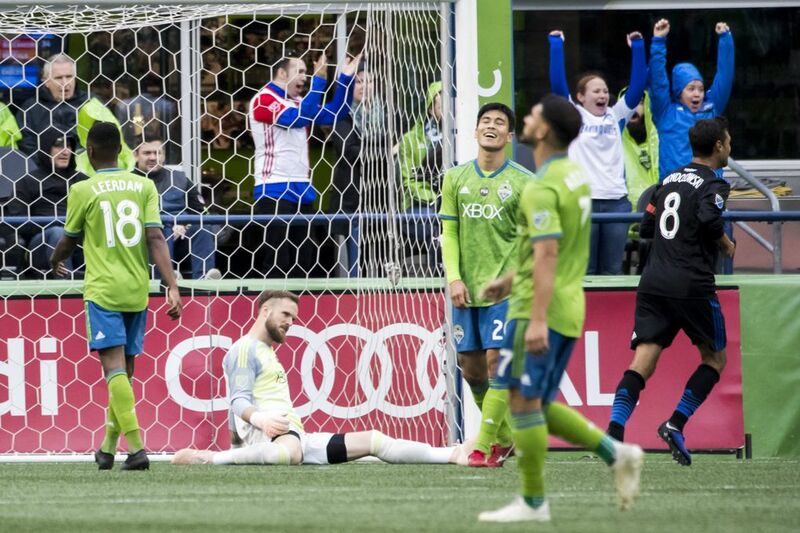 Fans leapt from their seats in disbelief and in-stadium fireworks erupted as Ruidiaz’s 94th-minute shot found the back of the net to the right of goalkeeper JT Marcinkowski. 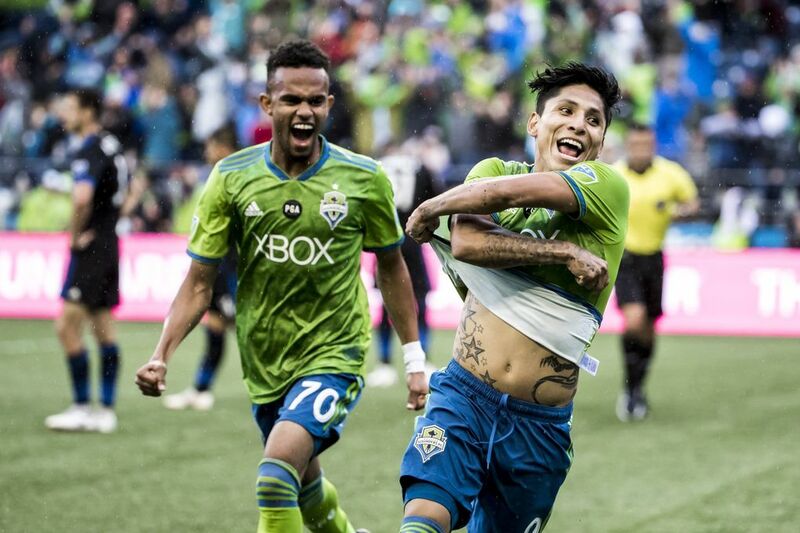 The Sounders poured from their bench to mob Ruidiaz in a wild celebration, the emotions of a four-month stretch in which they could barely afford to lose a game finally letting loose. 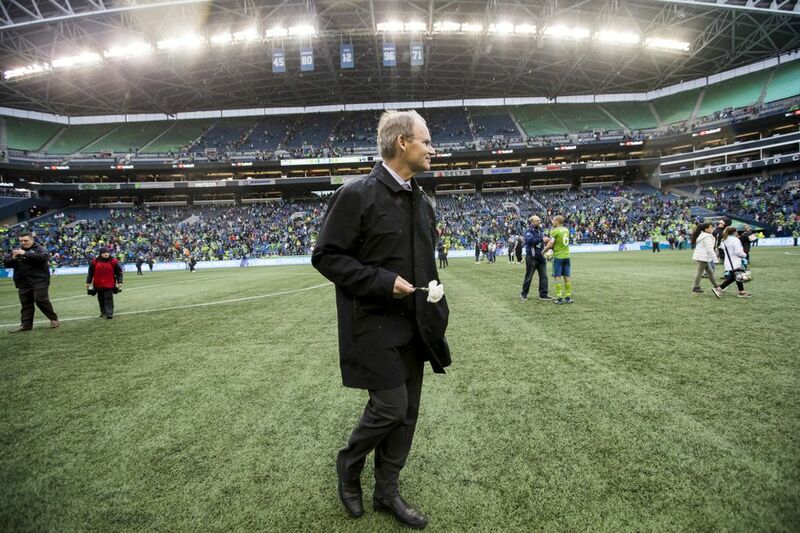 “This team did not want to draw,’’ Schmetzer said. “They obviously didn’t want to lose. But they did not want to draw in their last game of the year in front of the fans they wanted to impress. 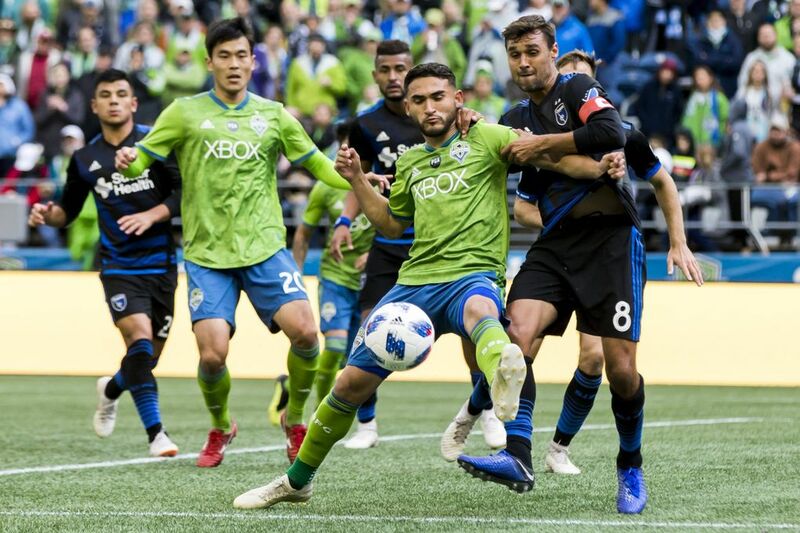 With LAFC also losing on a late goal to conference champion Sporting Kansas City, the 18-11-5 Sounders were assured of second place all by themselves. 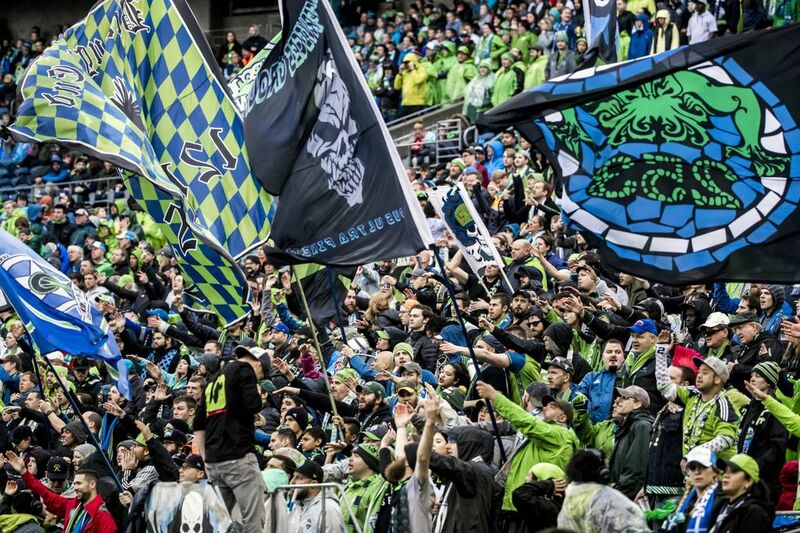 They’ll face either Portland, Dallas or LAFC in a two-leg conference semifinal tentatively set for next Sunday on the road and Nov. 8 at home. Rarely has a second-place finish engendered a celebration worthy of a championship. 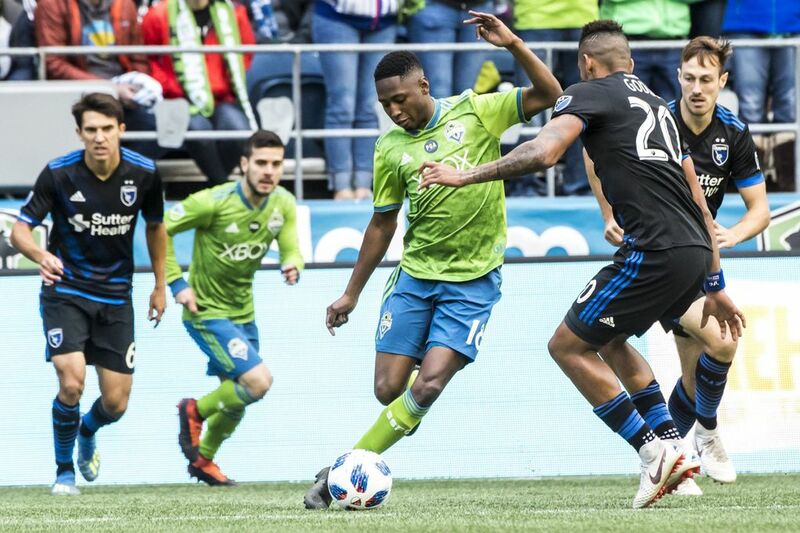 But given what had just transpired, in a season where the Sounders went an astounding 15-2-2 from July 4 onward, they weren’t holding back. Right back Kelvin Leerdam, who’d been substituted off in the 79th minute so midfielder Handwalla Bwana could try to provide a late offensive spark, raced from the bench to join the celebrating. 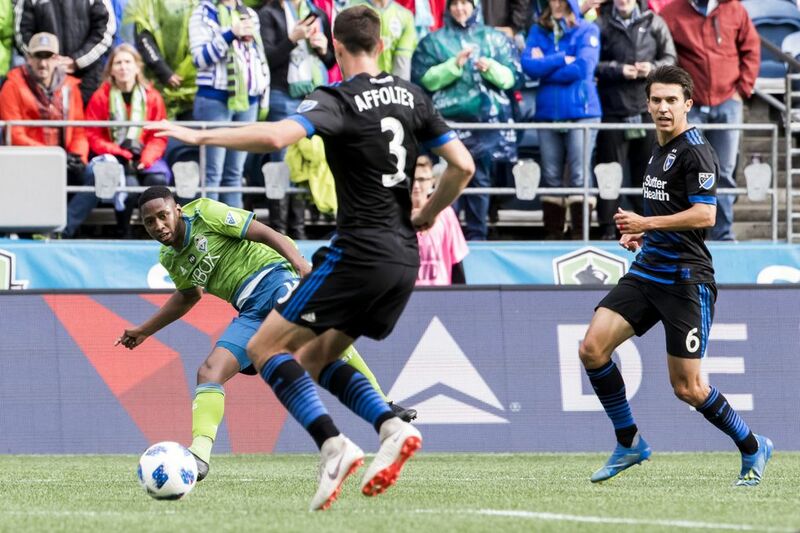 Leerdam said he’d never lost hope, even back in July, that the Sounders were capable of a streak like this to make the playoffs. 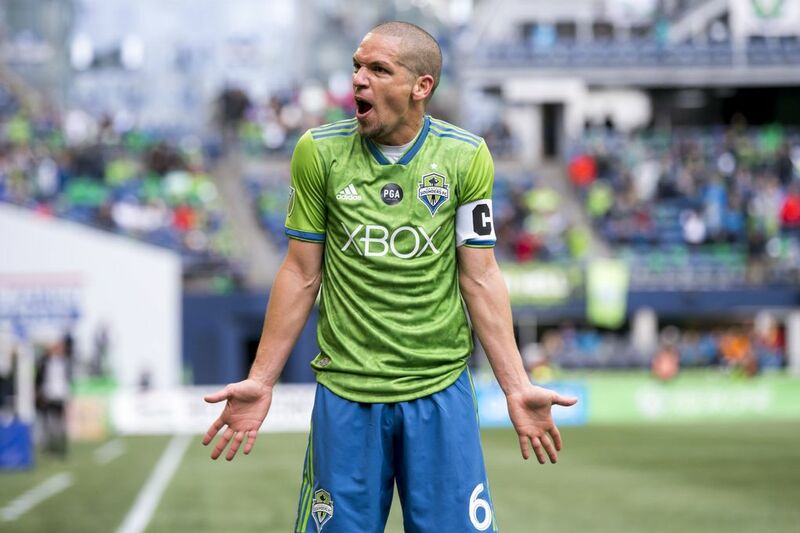 He said he even told general manager Garth Lagerwey as much, liking the intensity he’d seen from players in training and knowing their best matches lay ahead of them. 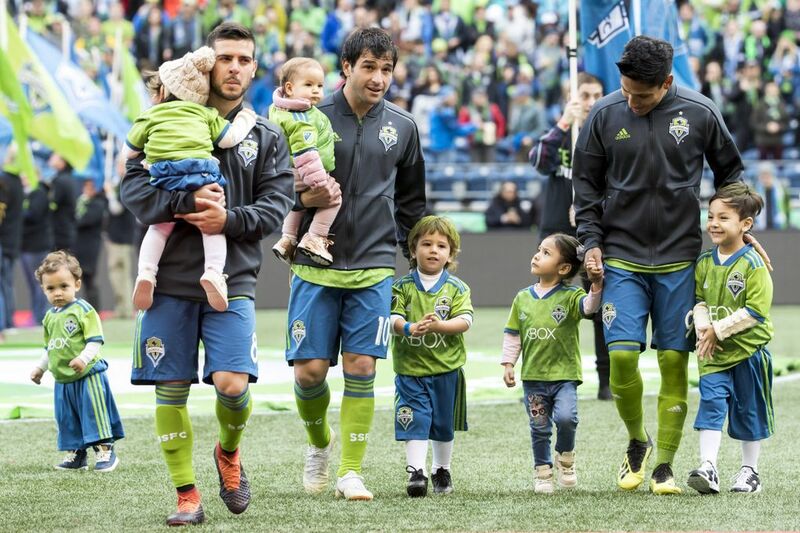 Indeed, the work by Ruidiaz, Lodeiro and a now-healthy Rodriguez on the winning goal was a dream realized for Lagerwey and the coaching staff, who’d long envisioned the healthy trio wreaking late-season damage. Whether they’d foreseen causing this much damage and achieving the conference’s second-best record is up for debate. 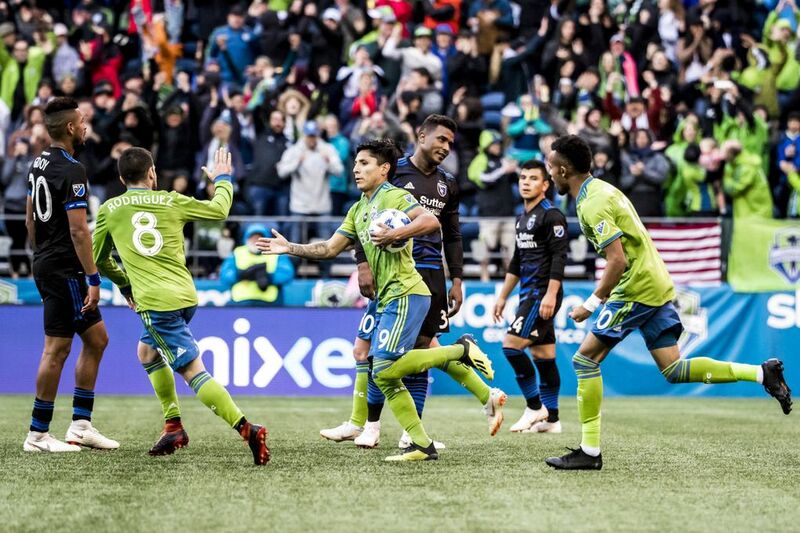 And that’s what Schmetzer, struggling for words once the on-field celebrating ended Sunday, will take away from this most improbable of seasons. 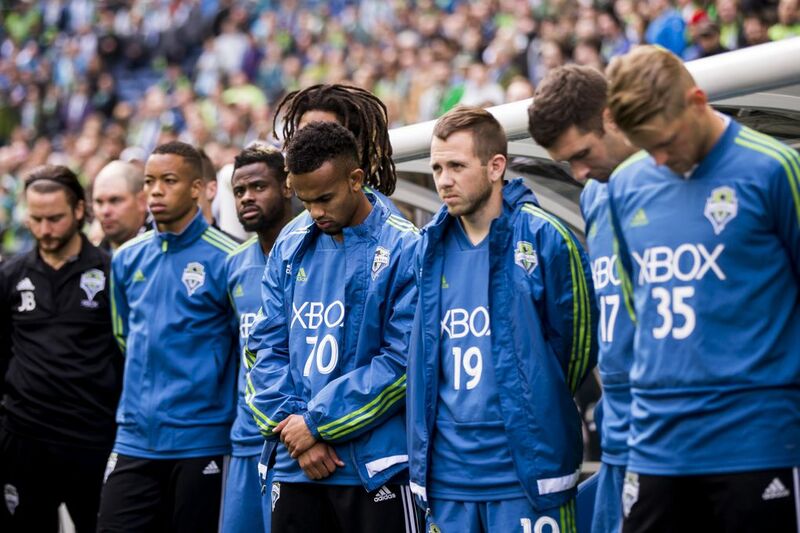 “This team is good,’’ Schmetzer said. 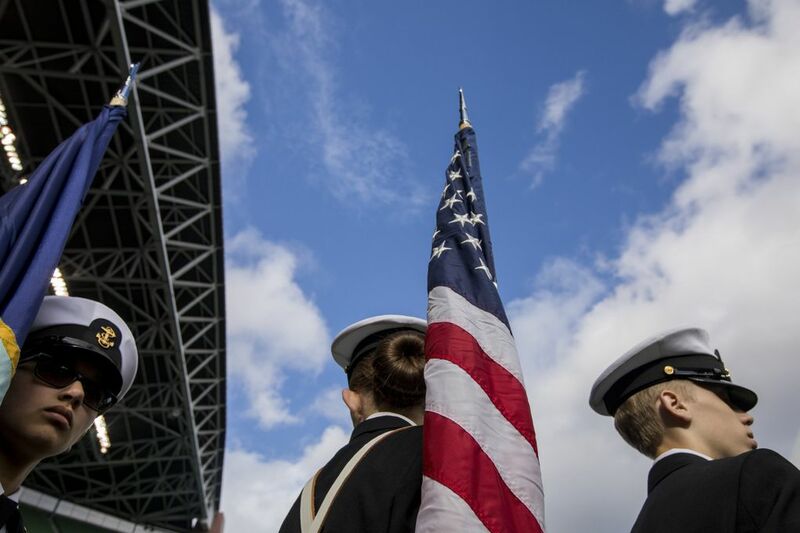 “Not once did the coaching staff, the front office staff, or a lot of our fans in this building give up on this team or not believe that they could do something special.